Meet Gloria Martinez, a senior insurance specialist at THERAPY 2000. She joined the company in 2002 as a case manager assistant, then moved to the business office team to help create forms and file documents. As T2K started to grow, Gloria broadened her skill set and started obtaining treatment authorizations from various insurance partners. She enjoys the challenges that the Medicaid system brings to the authorizations process. Despite being resistant at times to change, Gloria appreciates being able to overcome challenges. Gloria currently oversees the authorization process for multiple Medicaid managed care organizations including; traditional Medicaid, Firstcare, Amerigroup, Children’s Medical Center, Community First, Community Choice, and Aetna Medicaid. She also supports various commercial requests and is tasked with verifying patient eligibility at the beginning of each month. Family, Education, and the Beach! At home, Gloria has a full household that includes a 13-year-old boy and two daughters, ages 5 and 8. In addition to three children, she also has an eight-month-old miniature schnauzer that has become the baby of the house. Continuing education is important to Gloria. She is currently pursuing an Associates in Science and has the ultimate goal of obtaining a Bachelor of Science in Nursing. Outside work, Gloria enjoys going to the beach and spending time with family. 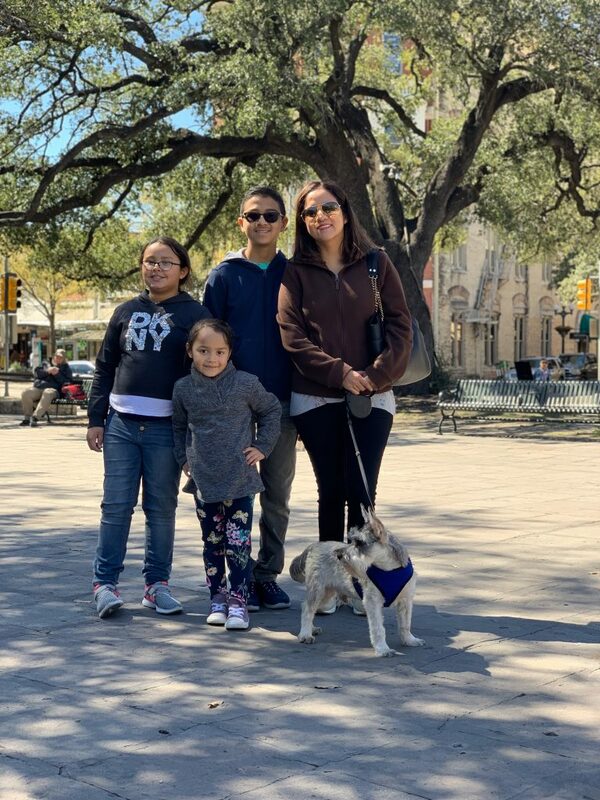 Gloria and her family travel to Puerto Rico at least once a year and love taking mini get-a-ways to relax from the hustle and bustle of Dallas. Gloria enjoys the flexibility with THERAPY 2000 that allows her to balance family, school and work.